One of the biggest discipline issues parents have to handle is how to deal with a child who's talking back to them. Back talk can happen at almost any age, starting almost as early as when kids master their first "No!" It’s a normal part of child development, but that doesn't make it any easier to deal with. Talking back can be triggered by a variety of causes. It can stem from a child trying to exert control over his own life, such as what he wears, eats, or does. It could be a child’s way of testing her boundaries. Or it could simply be grouchiness from being hungry or tired. Whatever the cause, back talk is something parents should take measures to address immediately and effectively. As parents, it's our job to teach our kids how to express their wishes and opinions in a respectful and constructive manner. How you respond to your child’s retorts can set the tone for your interactions. Kids can be extremely skilled at pushing their parents’ buttons. So it can be very tempting to respond to a 5-year-old who declares, "You're not the boss of me!" with a quick, "Actually, I am!" If you don't want your child to learn that trading barbs or getting into a war of words is a good way to handle conflict, then don't respond until you can speak in a calm and controlled manner. Take a breath, go into another room, or do whatever you need to do to avoid escalating the situation. Kids model their parents, which is why it's up to you to set an example and show them how they should behave. Keep this in mind, too, when interacting with your spouse, friends, family, and strangers—little ears are often listening, even when you're not aware of it. It's important to be clear with your kids about acceptable ways to express themselves. Be specific, so they know that barking or yelling particular words or phrases—"Yeah, right," "Give me a break," "Fine," "Whatever"—isn't going to fly. The same goes for rude behaviors like eye rolling, lip smacking, or giving you the death stare. It may take a few reminders for young kids to really learn what you expect, so give them a few chances to correct their bad behavior. In the meantime, call them on it when it happens ("Don't say 'You can't make me' when I ask you to put away your toys") and tell your child he has to stop. Overlooking disrespectful behavior can often encourage more of the same, so you have to stand firm when your kids sass you or use nasty words. Be sure to communicate the consequences of back talk ahead of time: By knowing upfront what it will cost them, kids can see how avoiding it is beneficial to them. Consider an age-appropriate time-out (aim for the number of minutes equal to your child's age), adding extra chores, or losing TV or computer time. When enforcing the consequence remind your child of the link between it and the back talk—"When you decide to speak to me like that, you don't get to go on the playdate." Don't waffle; following through is hard but it's the only way kids know you're serious. Be aware that often when a child talks back, what he is really expressing is anger, frustration, fear, or hurt. Talking back guarantees you'll pay attention, and negative attention is better than none. These outbursts and other types of behavior issues are more common during times of transition, such as a new baby in the house, change in a parent's work schedule, or something going on in school. Your child may feel ignored or abandoned and resort to back talk just to get some mom or dad time. Figuring out the reason behind the bad behavior can make it easier to understand and resolve the issue. Along the same lines, keep track of when back talk happens. Is your son irritable after school or after extracurricular activities? Does your daughter tend to exhibit negative behavior like talking back when she hasn’t had enough sleep? Try to keep tabs on when your child talks back so that you can take steps to change or eliminate those triggers and prevent problems before they start. 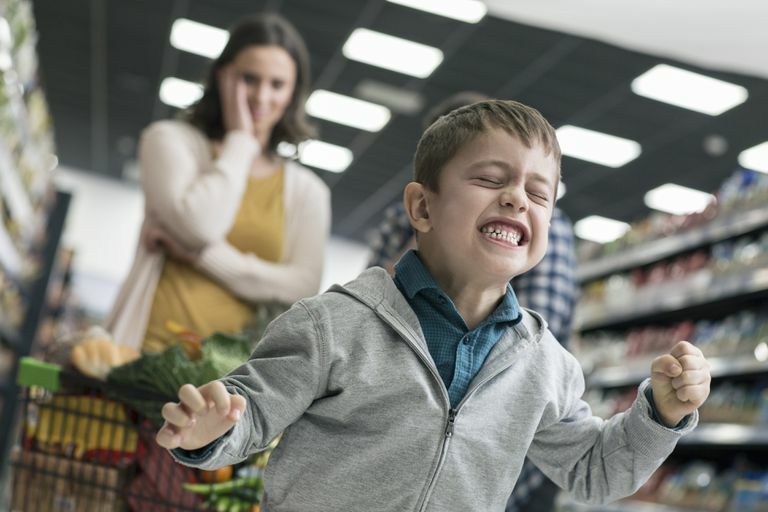 Of course, your child still has to learn to be polite no matter how he feels, but fewer occurrences of back talk likely mean you'll be more effective dealing with those that do crop up. When your child expresses her opinion about something, it’s actually a good thing. In fact, research shows that kids who have their own thoughts and opinions and aren't afraid to express them are less at risk for going along with peers who may experiment with drugs and alcohol. Many TV shows and movies depict children talking back to adults and often displaying sarcasm and a sassy attitude. While that may be good for comedy, kids need to know that imitating that type of behavior is not funny—or acceptable—in real life. One way to see what your kids are exposed to it to watch what they watch so you can talk about what they're seeing on screen. Everyone likes to feel appreciated, kids included. When they communicate properly, reward their behavior with a hug, a thank you, or a compliment. Kids who receive positive reinforcement are often less likely to act out to get attention. Be sure, however, that kids understand that simply asking respectfully doesn't necessarily mean they'll get the outcome they want. You may say, "I liked how you asked if you could play another game, but it's time for bed." Talking back is something all kids naturally do as they grow more independent and assertive. As frustrating as this behavior may be, remind yourself that your child isn't talking back because you did something wrong or because he doesn't respect you. If your child is engaging in back talk constantly, your efforts to curb this behavior aren't having any effect, and you see other behaviors, such as being angry, throwing tantrums, and constantly refusing to listen or follow directions, speak to your child's pediatrician. Your child may have ​oppositional defiant disorder, or ODD, which can be managed and treated with proper help. As frustrating and upsetting as back talk may be, keep in mind that your positive response will keep this behavior in check. Know, too, that countless other parents are going through the same thing. Most importantly, remind yourself that the calmer you are and the less you let yourself be affected by sassy back talk, the more your child will learn to use positive ways to express his opinions.